I am David Knox. I am an FAA-certified drone pilot and I have been in this industry for 8+ years. With my long 8+ years of experience, I like to help newbies and the professionals to find the best drones for their purpose so that they become a successful drone pilot and can enjoy flying the drones. In the year 2008, I got my first drone as a Christmas gift from my uncle! Really, before that, I didn’t even hear about the word drone. That is somewhat a costly imported drone. I was impressed with the model of that drone. So like to go for my first flight. My first experience with that UAV is awesome. I really enjoyed it with my dad. Before my first flight, I read the instructions clearly from the manual. But due to lack of my experience, I wasted that drone in a single crash. My first drone fell down from the air and was unusable! Honestly, that was only my own fault. Due to my over-excitement, I forget about the trees. That’s all! My first drone was smashed and worried a lot for the next couple of days. To make me free from the worries, my dad promised me to buy a new drone! Oh… I was excited again. But this time I was clear that not to buy a costly top rated drone till I become a master. So Google it and search for drone reviews. Damn! I found nothing. That’s too bad. I was hopeless. So, I like to get help from my uncle. Then I found my first drone at one of my famous sports shops at my place. Really, that price is very very cheap. Obviously, It does not have any advanced features as like in today’s drones. But I was happy with my little fella! Feeling excited again. HOORAY! I flew it daily in our lawn and become a master in driving drones! That time was amazing after I came back from school, I ‘ll go for flying with my cute devil. During the first hit with one of the pine trees, I bought the propeller guards to safeguard my drone. After few months, I planned to get a bigger one. Bigger in the sense not in size, it is with some good functionalities. So again I went to the store and learned about what are all the features every drone must have. You know that time no one uses the drones for aerial photography, filming or for other business purposes. I bought a drone with a camera and shoot some photographs and enjoy with my dad. Later I bought new drones in a frequent time interval and become a crazy about it! Now in 2017, I am a certified pilot. I can drive any type of drone and good at aerial photography. After several discussions with my friends and experts, I came to know about the rules and regulations to fly a drone. So why the Bestdronesforme.com site? I like to share my passion with you! Also, serve you with the valuable information I learned by flying the drones. So that you can enjoy your flight without any mistakes. 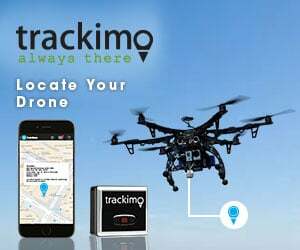 Here, on this site I like to share my experience about drones, which is the best drone to buy for your purpose, help you about FAA registration, to identify the safe and restricted places to fly your drone and also for your business. The first drone is always awesome. No one can forget that experience. So my suggestion is to buy the cheapest drone to know about the driving skills. After you become a master, go for the drone that serves your purpose. If you are a hobby flyer, then you are at my side. Can enjoy the flight time at any day. Once again, this is not a rocket science to worry. I am always here to help you in your driving skills. But follow the FAA laws while flying. Get your dream drone and enjoy! Subscribe to Get More Updates!